Your Toughest Questions Answered: Who's the Cutest Baby Animal? What's the reason for life? Why is Scandal's Olivia Pope the best at what she does? Why can't celery taste like cake? Some questions are so overwhelming, we can't ever know the answers. Obviously, the same applies to baby animals and their off-the-chart levels of cuteness. 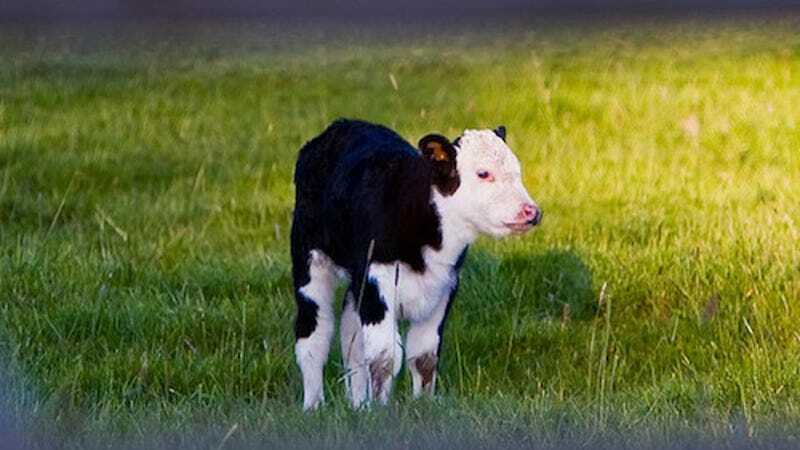 Determining what baby animal is the most adorable — a seemingly impossible thing to ascertain — is investigated by the folks at Modern Farmer. The first ever Baby Animal Power Rankings shows fluffy chicks as the underdogs against the unlikely front-runners of Walter Mathau-looking baby goats — and don't get me started on the pudgy piglets and doe-eyed baby cows, who could definitely come from behind and take it all. I'm excited to see movement in the coming weeks, but I know no matter what happens, we all win when baby animals compete.